Inline mooring cage structure of tough 1/2" type 316 stainless steel construction and delrin isolation eyelets. Independently tested to support up to 10,000 lbs. of load. For Sontek® ADP® instrument series and a one, two or three battery pack canister. 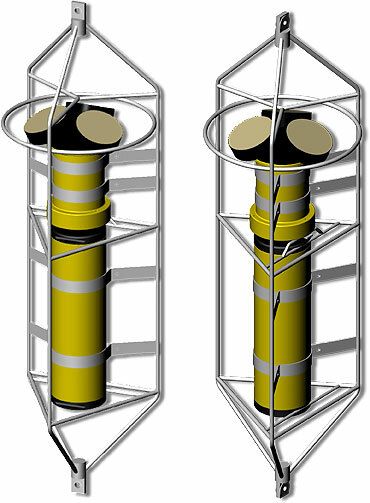 Two battery pack canister shown.